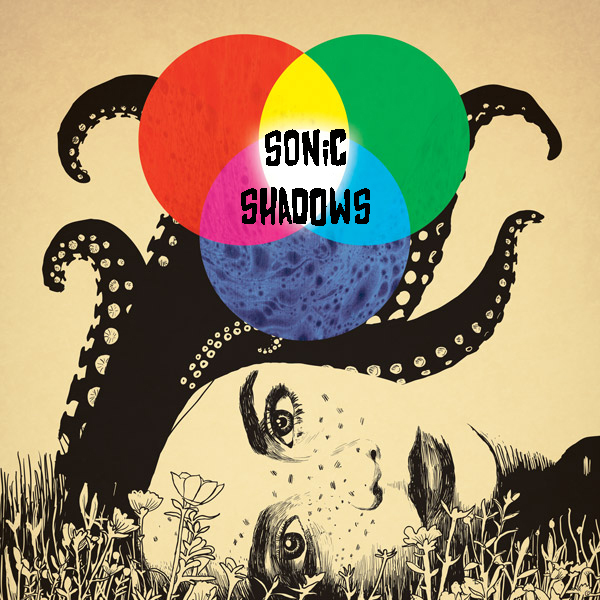 Welcome back to SO!‘s Sonic Shadows series, which focuses on what it means to “have a voice.” In the first post in the series, I considered the role of the novel in sound studies, and how, paradoxically, this led us back to the embodied voice of the writer. In Joseph Conrad’s prose, traces of accent and translingualism shape the sonic space of difference, but also reframe the novel as a social, yet ambiguous act of communication. This week, I’m happy to welcome Dominic Pettman, who picks up the question of the embodied human voice as it brushes up against the animal in what he calls the “voice of the world.” Next week, the series will conclude with uncanny mechanical sounds of early recording that trouble the voice of the human from within. Scientists have tracked this mournful creature for several years, intrigued by the melancholy songs, which go unanswered. The call of this singular cetacean, an Internet cult figure of unidentified species, registers at the unusual frequency of 52hz, much higher than that of all other types of whale. These days, in general, whales have been forced into relatively tiny sonic boxes because of the din created by ship engines and various audio probings of the marine environment by military and industry alike. As bio-acoustician Christopher Clark, suggests, this assault and subsequent diminishment of the whale’s soundscape must be extremely traumatic for the animal, whose overall umwelt has shrunk from large swathes of the watery planet to barely a mile or so in any given direction. The noisier the ocean becomes the lonelier whales are likely to become. Can we really, however, speak of singing in such cases? Many would argue that simply using the organ of vocalization does not equate to singing in that it lacks the element of self-reflection necessary for true expression; for artistry. Others have conversely argued that humans were likely taught to sing by other creatures, especially the birds. These perspectives on the question of the interspecies voice have a long and complex history, crisscrossing epochs, as well as those divergent orientations to the natural world crudely divided into “East” and “West.” In this post, I focus on what it means to try to hear the animal beyond or through human terms, to explore the question of who or what can rightly claim to have a voice – is it a property or capacity that belongs to a subject, even a nonhuman subject? Might we consider voice to include “expression” of the elements themselves? Might the world itself, whatever such a grand phrase might denote, have a vox mundi – a voice of the planet? Such questions deserve long and careful consideration, [and SO! has housed a series of reflections on acoustic ecology and a singing planet.] But in this brief context, I focus on the historically contested existence of a creaturely voice – one which describes a plurality of vocal expressions, distributed among those species blessed with the capacity to make sounds with their bodies. As Tobias Menely explains in a wonderful new book, the creaturely voice, like the human one, forms the vector of sympathy; and is thus suspended between the individual producing the sound, and the one listening to it. Through “the voice of nature” we understand our essential “creaturely entanglement” with other animals. This perspective pushes Mladen Dolar’s psychoanalytic theory that voice ties self to other to include the nonhuman experience of the animal realm. Menely argues for a condition of social identity in “creaturely voice,” which is a way of testing the world, and one’s location, role, and value in it. In other words, monkeys, birds, whales, and so on, test their own existence when they emit non-symbolic equivalents of, “I’m here.” “Where are you?” “Are you really there?” “Who are you?” “Marco.” “Polo.” These are the unspoken – and yet at least partially communicated – messages woven into the ever-vanishing, yet always returning, medium of the voice. Take, for instance, the parrot or cockatoo. We humans have been fascinated by these birds, largely by virtue of their perceived organic capacity to “record” our own voices, and throw these back at us, like trickster ventriloquists, long before the invention of the phonograph. Certainly, this can create an uncanny effect in the human listener: hearing our own voice echoed back from the larynx of a creature so different from ourselves – a creature that may or may not have its own mind or soul. Historically speaking, many people who had their figurative feathers ruffled by the impertinence of parrots deflected the discomfort they felt, upon hearing their own words screeched back at them. This pet parrot, who had clearly been in the room when its owner was watching X-rated material, recently became famous. The instant mirth, and/or discomfort, that this clip produces is a function of hearing ourselves, as humans, echoed back by an animal. Our words are “rebroadcast” back to us by an entity that has no sense of irony or decorum. It is literally obscene. It is as if the world were engaged in objective parody of the planet’s most arrogant animal: revealing one of our most sacred activities (“making love”) to be little more than a kind of crude ventriloquial trick. This parrot is not deliberately lampooning us, yet, the refrain created by the bird’s imitative tendencies means that we are lampooned nevertheless. Another famous pet cockatoo was given to a new couple after a bitter divorce obliged it to find a new home. The details of the break-up remain obscure to the second owners. However, this (traumatized?) cockatoo re-enacts the tone, pitch, and vehemence of the arguments that it was obliged to witness in its previous life. While most of the “words” the cockatoo screeches are not clear enough to be translated, the emotions that initially launched them are obvious to all within hearing distance. The bird even bobs its head, and spreads its wings, in imitation of the angry body language of a wife scorned, spurned, or otherwise so aggrieved that she can only incessantly shriek at the man who made her so miserable. Whose voice is this, then? Parrots are like children, some might claim, squawking back syllables they will never comprehend. One might as well yell into a cave, and be astonished that the words return as a consequence of physics. Bird songs, according to such a concept, create what Gilles Deleuze and Felix Guattari call “a refrain,” which in turn generates a territory through the act of sonically diagramming it. This operation is not limited to the natural world, however, since we may say the same about television sets or saxophones. Consider how children, or lovers, playfully imitate the speech of the other. In doing so, they assert their own identity, while also putting such an identity under erasure. Many animals (including humans) may thus be creatures who continue to flesh themselves out in(to) this territory. But instead of the animal echoing back the human, what about the reverse? As a final example, consider one famous instance of simulated human suffering, “devolving” into a creaturely register; namely, the old literature professor, Dr. Immanuel Rath, who experiences a nervous breakdown when he succumbs to intense jealousy and a broken heart, at the climax of Josef von Sternberg’s classic film, The Blue Angel (1930). Just as the full weight of his rejection, at the hands of Lola Lola (Marlene Dietrich) is being registered in his psyche, the professor – who has quit teaching to follow his beloved in the cabaret world – is ushered out onto the theatrical stage, dressed as a clown. The audience waits in skeptical anticipation of an amusing performance, but the haunted ex-professor can only unleash a torrent of repressed anguish at his broken heart, and his humiliation at the hands of the vulgar mob. The horrible sound he releases, silencing the crowd, is part spurned lover, part rooster, and wholly abject. The professor seems to lose almost all his humanity, which was once verifiable in his composed and authoritative teaching voice, but is now some kind of demonic bird, screeching in misery, fury, and defeat. As this seemingly mindless force of vengeance tries to strangle his romantic obsession backstage, and as he continues to struggle against those who restrain him, the ex-professor has become creaturely: a supposedly subhuman status signified more by his inhuman voice than by anything else. And yet, as we have seen, there is no simple hierarchy here, where the human occasionally – in times of great distress – finds themselves, by this logic, reduced to being “an animal.” We might call this the vox mundi – the voice of the world—in which, like the shadowy depths of the ocean, there is a swath of sound shared by human and animal. The creaturely voice can be sweet, like the nightingale. Or it can be harsh, like the traumatized cockatoo or the green-eyed professor-clown. There is an intimate link between the voices of animals and those of humans, which cannot be reduced to a concept like “communication,” but which nevertheless impacts and influences all those in hearing distance. That is, unless one happens to be a whale, singing at 52hz. In which case, we are likely to keep singing into the inky darkness, without any reply. Dominic Pettman is Chair of Liberal Studies, New School for Social Research, and Professor of Culture & Media, Eugene Lang College. He is the author of several books, including Look at the Bunny: Totem, Taboo, Technology (Zero books), and the forthcoming Infinite Distraction: Paying Attention to Social Media (Polity).